YES! send me the Make the Most of Medicare guide now! Yes, I would like to receive communications by email about topics related to transitioning to Medicare. 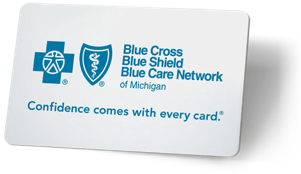 By providing my phone number and email address, I give permission for Blue Cross Blue Shield of Michigan or Blue Care Network to contact me, answer my questions and discuss my options regarding this booklet. Looking to enroll? Blue Cross has a variety of light, balanced and extended plans. © 1996-2019 Blue Cross Blue Shield of Michigan is a nonprofit corporation and independent licensee of the Blue Cross and Blue Shield Association. Medicare Plus Blue, BCN Advantage and Prescription Blue are PPO, HMO-POS, HMO and PDP plans with Medicare contracts. Enrollment in Medicare Plus Blue, BCN Advantage, and Prescription Blue depends on contract renewal.